Also known as Braj Pradesh, Brijbhoomi is said to be the sacred land of Lord Krishna where he spent most of his life starting from his birth to his adolescence. Even though the land of Braj is not a politically defined area, it still forms an important part of Uttar Pradesh. Due to its connection with Lord Krishna and with the period of the epic Mahabharata, Brijbhoomi has an important place in Hinduism and is believed to be a culturally developed land. 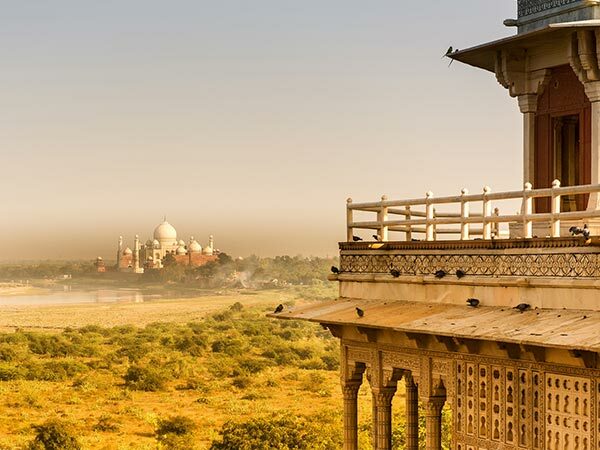 Lying in the Golden Triangle of the Indian tourism industry, it is also one of the most visited places in India. Dotted with several temples, ancient buildings, religious sites and natural places, it is one of the richest parts in North India. Following are some the major cities of Brijbhoomi today. The list of Major cities of Brijbhoomi cannot start without Mathura, which is also known as the core capital of Braj Pradesh. It is one of the holiest places in Hinduism on account of the presence of numerous temples and places dedicated and related to Lord Krishna. Being the birthplace of Lord Krishna, Mathura is known as Krishna Janmabhoomi and hence, witnesses tourists and Hindu devotees in millions of numbers every year. If you are looking to explore the history of Indian mythological era related to Lord Krishna, then Mathura is a perfect place to start your journey. Several must-visit places in Mathura include Vrindavan, Keshav Dev Temple, Shri Krishna Janmabhoomi and Banke Bihari Temple. Brijbhoomi has its roots deep under the grounds of today's Rajasthan too, and the presence of Bharatpur clearly proves the fact. Located at an approximated distance of 40 km from Mathura, Bharatpur is the eastern gateway to Rajasthan and is immensely popular for its Keoladeo National Park, which is home to several species of rare birds and animals, and is a UNESCO World Heritage Site. It is an important part of the tourism industry in India which attracts millions of international tourists every year. Other prominent places to visit in Bharatpur include Lohagarh Fort and Bharatpur Palace. Yes, Agra is also a significant part of Braj Pradesh. We all know Agra as the city of Taj Mahal formed by the Mughal emperors. However, it was not the same place during the period of Lord Krishna. It was known as Agrevana, which means the border of the forest, and you can find several mentions of Agrevana in the Hindu epic Mahabharata. Hence, the region of Braj will be incomplete without Agra. Today, it is one of the most visited places in the world and is home to numerous World Heritage Sites including Taj Mahal, Agra Fort and Fatehpur Sikri. Apart from these world-famous sites, you can also visit Akbar's Tomb and Jama Masjid. A princely state before the period of independence from the British rule, Dholpur has its history dating back to the era of Lord Krishna when it was a small town in the Braj region. Today, it is located in the state of Rajasthan and is an important tourist spot due to the presence of numerous ancient buildings. It is easily accessible from Agra, the nearest major city in Uttar Pradesh. The major places in Dholpur which will interest you include Dholpur Fort, Chhatri of Rana Udaybhanu Singh and Kesar Bagh Palace, which has been converted into a military school now. Another significant place in the region of Braj, Firozabad is known as the city of glass or Suhag Nagari due to the presence of several glass making factories which produce glass products, such as bangles, bottles, etc. Firozabad was formerly known as Chandwar Nagar and was a major Hindu residence until the Mughals attacked the region. It is situated at a distance of around 40 km Agra and is bounded by Yamuna river on the southern side, where Lord Krishna used to perform lilas through his magical powers. Located at a distance of around 125 km from New Delhi, Aligarh is also one of the prominent places which come under Brijbhoomi. Formerly known as Kol, it is the place where Balarama killed the demon, Kol, with the help of his brother, Lord Krishna, and several other Brijwasis. Even though the exact history of Aligarh is still unknown, it is believed to be in existence since the time of Lord Krishna. Today, it is popular for its lock industries, Aligarh Muslim University and several ancient monuments. The major places to visit in Aligarh include Aligarh Fort, Shekha Jheel and Jama Masjid.